Congressman Mark Meadows, initially a Cruz backer in the presidential primaries, has been one of Trump’s closest allies on The Hill. Mulvaney is the man. But Meadows is going places. Mulvaney just helped with the budget sell out. Kelly has been pushing Trump the wrong direction on amnesty, so the sooner he is gone, the better. Cohn is the token liberal in the White House and is awful on a whole host of issues. He would be a bigger disaster than Kelly for conservatives. Mulvaney would be great. Meadows I see as our US Senate nominee in 2020 to replace the utterly awful Thom TIllis. I do not know if staying in his current role or moving to WH COS would better facilitate that goal. Mulvaney is not great on illegal immigration either. Meadows? Would much rather see him in the Senate. 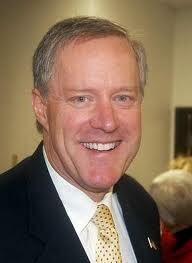 Oh, no, I think we need Mark Meadows right here in NC as our Representative! Tillis and Burr need to either take a conservative pill or go away. Wish we had Dr. Brannon in one seat! The only way to change it up is for term limits to be implemented. As our founders believed, political parties will be the downfall of America, and you can see the effects of this. Trump had great confidence in R. Priebus. Trump had great confidence in J. Kelly. It is only a year into his term and he needs another Chief of Staff??? Then there are the other Cabinet positions who are fired or dissed by Trump. Is Trump that bad at choosing people to work with him?